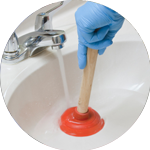 We have a highly skilled team of plumbers in Croydon, who have been successfully completing jobs to an exceptional standard since 2005. Their depth of knowledge allows them to take on even the most arduous and stressful plumbing issues in an effective manner. 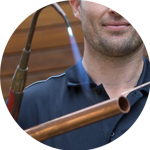 Your plumber in Croydon will be both reliable and customer friendly, as we pride ourselves on only providing tradesmen who have outstanding customer service skills and a deep passion for the plumbing trade. 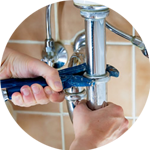 With over a decade of plumbing work completed in Croydon, your plumber in Croydon will be able to assist with a wide rafter of services, which include; Replacements, Unblocking, Installations and Repairs. Croydon is a large town situated within the southern region of the capital. 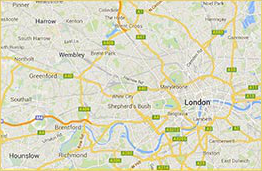 It is one of the largest districts outside the centre of London. 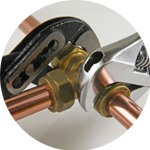 We aren’t restricted to just pluming at The Handy Squad, as we offer a wide variety of trade services within Croydon. For any general household issues such as Tiling and Flat Pack Assembly, we have a Handyman in Croydon, who will execute these jobs with precision and care. For electrical issues, we have an electrician in Croydon and if you require a tradesman to assist with any Painting or Siliconing, we have a decorator in London. To book your handyman, electrician, decorator, carpenter or plumber in Croydon, fill out our online form.